Today's Style Steals deal on Cents of Style's Holiday Party Collection (that includes: taffeta skirts, bracelets, necklaces, vests, sweaters, foil t-shirts & earrings) use code PARTY20. The coupon code will drop the price of the Taffeta Bow Skirts to $29.95 (our "Steal") and take an additional 20% OFF & FREE SHIPPING the items in our Holiday Party Collection! Styled Look Style Steals - 12/7/15 - Holiday Party - Taffeta Bow Skirts $29.95 + Entire Collection Additional 20% OFF & FREE SHIPPING w/code PARTY20 . Here are tips on styling for a Holiday Party! This holiday skirt is fancy and festive, perfect for your upcoming holiday parties. And with so many different ways to wear it, It's a steal of a deal! 'Tis the season for holiday parties. Which also means the season of figuring out what to wear to said holiday parties. Fortunately, our friend Rachel Hollis of The Chic Site, has some great ways to style our Taffeta Ball Skirts to help take you from party to party this season. 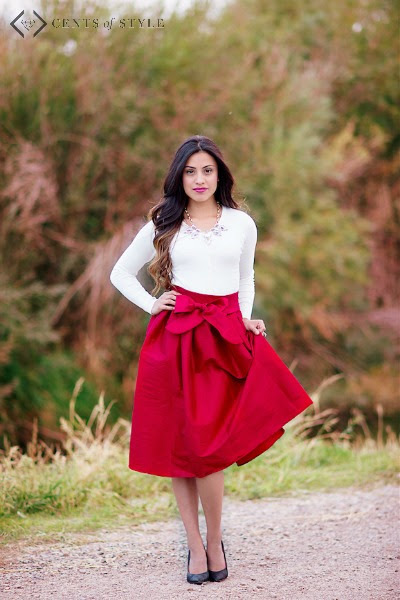 And today, you can steal the style and get our Taffeta Bow Ball skirts for just $29.95 + the accessories you need to create these great holiday looks. Pair your bold, fancy ball skirt with a graphic t-shirt or sweatshirt. The casualness of the t-shirt is unexpected and makes this a great option for an office party or family gathering. We especially love the pairing with our gold foil graphic tees. Keep it simple by Pairing your skirt with a solid crewneck sweater. Just because you're going out doesn't mean you can't be comfy and cozy! 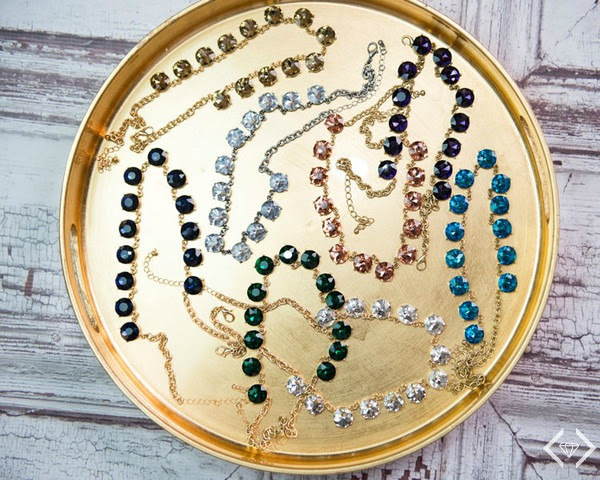 And your favorite statement necklace for a little bit of glam. Vests are always a great layering piece. Choose a Moto Style one like Rachel Hollis or go faux fur. Both will add texture and visual interest. You just can't go wrong with chambray. Rachel Hollis shows how you can give a more casual vibe to your fancy ball skirt with the help of a great scarf and ankle boots. This ball skirt pairs perfectly with your favorite button up, too! Play with patterns and prepare for the compliments.